Phone: +92 300 8292200 Email: amirafridi2678@gmail.com Address: Metrovile, S.I.T.E, Karachi West. 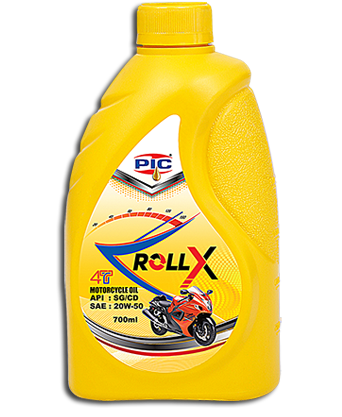 PIC Roll-X is an excellent quality multigrade Motorcycle engine oil, which provides outstanding performance in all types of MotorCycles.It is formulated with highly refined mineral base oil and selective addictive technology. Protection agains wear and sludge. Good anti-corrosion and anti oxidation properties. PIC Lubricants Co. with its brand name PIC was established in the year 2001. It is one of the leading lubricant Co.